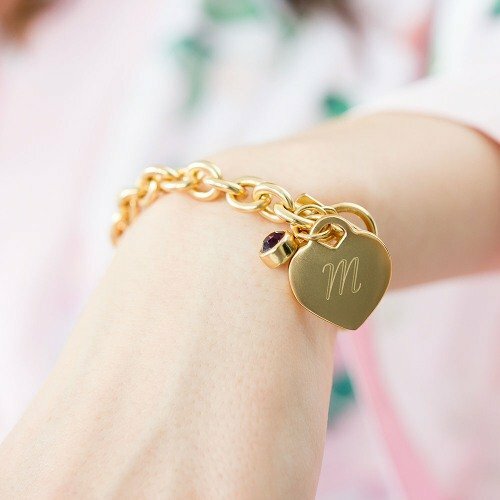 This pretty gold personalized gemstone charm bracelet is the perfect way to congratulate your grad on her graduation day, or for any other woman that is special to you. 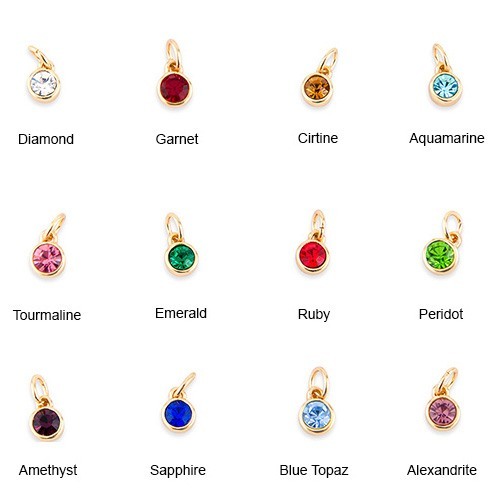 Choose from a variety of colored crystals for a custom look to go along with her monogramed heart charm. She will love how personable this gift is and can not only wear the bracelet at her graduation party, but for many more days to come!